It is a very cold winter, and if Mayor De Blasio keeps his promises about shutting the door on charters, you, as Founder of the Success Charter Academy, may be out in the cold. Just days after Mayor de Blasio’s Department of Education proposed slashing $210 million from a charter-school construction fund, he said he also won’t allow charters to share space in public-school buildings going forward. The two moves amount to a squeeze play on charter schools — yanking away funds that would have allowed them to build their own space, while barring them from getting free space in public-school buildings along with traditional public schools. “There will be a moratorium on closures and co-locations,” the mayor said on WNYC radio. De Blasio said he also hasn’t ruled out rescinding space-sharing arrangements for charter schools — known as co-locations — that were approved last year under ex-Mayor Mike Bloomberg. This includes the Children’s Aid College Prep Charter School, which had received an extension to remain in a shared South Bronx building. “We’re reviewing them . . . and then we’ll come back with some answers,” de Blasio said about the co-locations approved in late 2013. The proposed diversion of capital funds away from charter schools — which don’t get facilities funding from the state — rankled the head of a nonprofit firm that has helped build 16 charter- school buildings with city construction dollars. 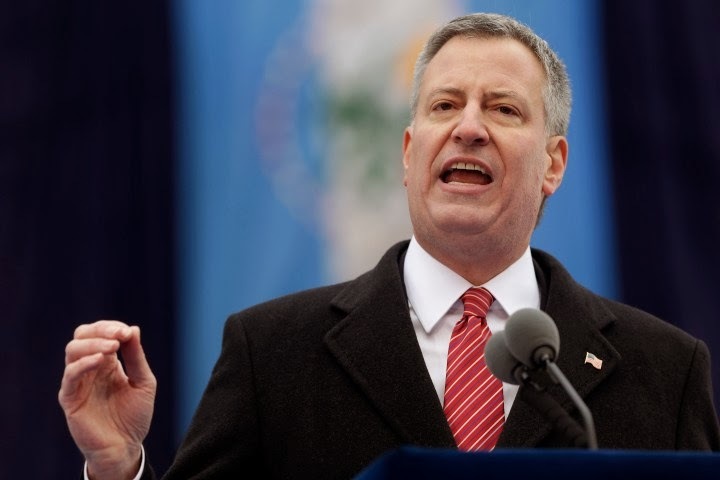 He also noted that de Blasio would be turning away $70 million in philanthropic dollars, because private donors put up one dollar for every two paid out by the city for charter-school construction. De Blasio also wants to charge rent to some existing charter schools, which are publicly funded but privately managed. Dacia Toll, co-CEO of the Achievement First charter network, which operates schools in Brooklyn and Connecticut, said the mayor’s bid to expand pre-K programs doesn’t need to come at the expense of charter growth. De Blasio has said capital funds previously earmarked for charter schools would go to expanding pre-K and reducing overcrowding. About 1,400 New York City charter-school parents are set to travel to Albany Tuesday to lobby legislators to support equal funding for charter schools. They’re also arguing in support of a provision in the state budget that would for the first time provide funding to charter schools for pre-K instruction. The United Federation of Teachers — which has opposed the mostly non-union charter-school sector — put out a position paper Monday claiming that the cry of poverty from charters is misleading. Union officials said the top six charter chains in the city had $65 million in assets in 2012.